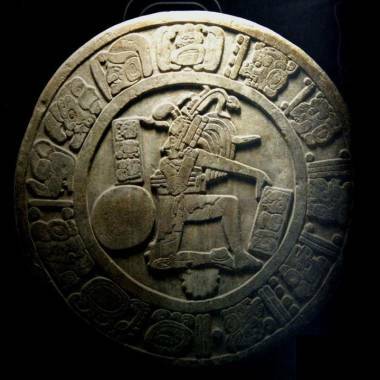 The Maya Long Count calendar and its connection to 2012 have long been topics of controversy. Time after time, doomsayers have predicted the breakdown of society on a date certain, stirring up a buzz that builds to a crescendo and ends in a crash when doomsday doesn't come. 1844 brought the Great Disappointment, 1999 brought the Y2K alarm, 2011 brought the Rapture ruckus, and exactly a year from today, we're due for the Maya apocalypse. If the past is any indicator, we'll be intently blogging, tweeting and indulging in black humor as the clock ticks down to Dec. 21, 2012. Then, on Dec. 22, we'll look around for the next doomsday. It's just human nature, says Oregon State University sociologist Richard Mitchell, author of a book about survivalist trends titled "Dancing at Armageddon." Telling stories and trading tips for making it through the catastrophe that's ahead of us are pursuits that go back to ancient times. "The attraction of all of these 'final crisis' tales is in the re-narration, the puzzling out of the details, the putting of fragmented facts into a coherent narrative," Mitchell said. There are plenty of fragmented facts to choose from for 2012's "end of the world" narrative, including the Maya Long Count calendar, which supposedly winds down to the end of a 5,126-year-long cycle next Dec. 21. Today the city of Tapachula in southern Mexico is turning on a digital clock for the yearlong countdown, and Mayan priests are performing a ceremony at a nearby archaeological site. They're dramatizing the doomsday date largely to drum up tourism. "If people are interested, we have to take advantage of this," Manolo Alfonso Pino, the regional tourism director for Mexico's Chiapas state, told The Associated Press. Other angles include the recent string of natural disasters and extreme weather events, the upswing in solar activity, and even the ramp-up of the Large Hadron Collider. The narrative gets embellished with additional twists from seemingly ancient lore, such as the feared approach of a mysterious unseen planet, or a prediction that "30 hours of blindness" will beset us. Mitchell doesn't expect the hard-core prophets of doom to accept the assurances of NASA ... or, for that matter, Cosmic Log. "They don't trust the media or academia, because we do in fact pose a real threat — not to their physical well-being, but to their storytelling," he said. Is there a danger in doomsday stories? Based on his studies of survivalists, Mitchell doubts that 2012 worries will touch off mass panic. He told me that folks who are worried about the collapse of society usually shy away from group activities. "There aren't any 'groups,' though one will pop up every once in a while, just to see and be seen," he said. "It's just a myth to suggest that groups exist, other than online mailing lists that nudge electrons back and forth. Largely, it's individual activity, if there's any activity at all." But Rosanna Guadagno, a social psychologist at the University of Alabama, worries that websites and apocalyptic chatter on the Internet could create a "tipping point" for 2012 hysteria. "I think it's going to ramp up as we get closer to next December," she told me. Guadagno's research focuses on the effect that computer-mediated communication has on social interaction and influence. "The one thing that we have going against us is the way that information spreads online," she told me on Tuesday. "For example, yesterday half the world thought Jon Bon Jovi was dead, just because one person set up a website." "It won't take that many people to take advantage of the Internet, to basically spread a lot of misinformation and cause panic among greater numbers," Guadagno said. "Hopefully the general public will be forewarned that this is all bunk." That's what we're here for. And we'll be here whenever the bunk hits the fan during 2012. So whatever you do, DON'T PANIC! Update for 5 p.m. ET: The doomsday predictions have centered on Dec. 21 as the fateful date, but that's not the unanimous opinion of experts on Maya glyphs. Penn Museum's Simon Martin, for example, is among those who say that Dec. 23 rather than Dec. 21﻿ marks the end of the Maya calendar's millennia-long baktun cycle. Actually, the discrepancy may turn out to be more than just a couple of days: Gerardo Aldana, a professor at the University of California at Santa Barbara, says conversions of the Maya calendar to the modern calendar could be off by as much as 50 to 100 years. An exhibit at the Penn Museum, titled "Maya 2012: Lords of Time," will focus on the ancient Maya people's conceptions of the universe, including their ideas about time and the calendar. The Philadelphia show opens on May 5 and will end on ... Jan. 13, 2013. 2014, when the LHC is due to reach full power. Some folks believe the second decade of any century is a rough time, just because it historically has been. Nicholas Boyle, a professor specializing in German literature and history at Cambridge University (and no close relative of mine), has already written a book on that theme titled "2014: How to Survive the Next World Crisis." Not sure what that has to do with German, but OK.
2029, when futurist Ray Kurzweil expects machine intelligence to equal human intelligence. 2045, when Kurzweil foresees a global transformation dramatic enough to be classified as a "singularity." 2060, the "no-earlier-than" date for Isaac Newton's predicted doomsday. It's interesting that these dates are all about 15 years apart. Is there a 15-year doomsday activity cycle, analogous to the 11-year solar activity cycle? That's one more thing to mull over in the comment section below.